2016-2017 Dance Marathon at LSU Directors celebrate an amazing fundraising total after 26.2 hours on their feet. On March 24-25, 2017, nearly 300 LSU students representing dozens of on-campus student organizations united for 26.2 hours at the John M. Parker Coliseum on the campus of Louisiana State University in support of Our Lady of the Lake Children’s Hospital. These students collectively raised $217,733.27 over the last year through a series of peer-to-peer online fundraising campaigns, special events, canning (collecting donations at local Baton Rouge area stores including Walmart and Sam’s Club), and working LSU Concessions at sporting events, just to name a few. 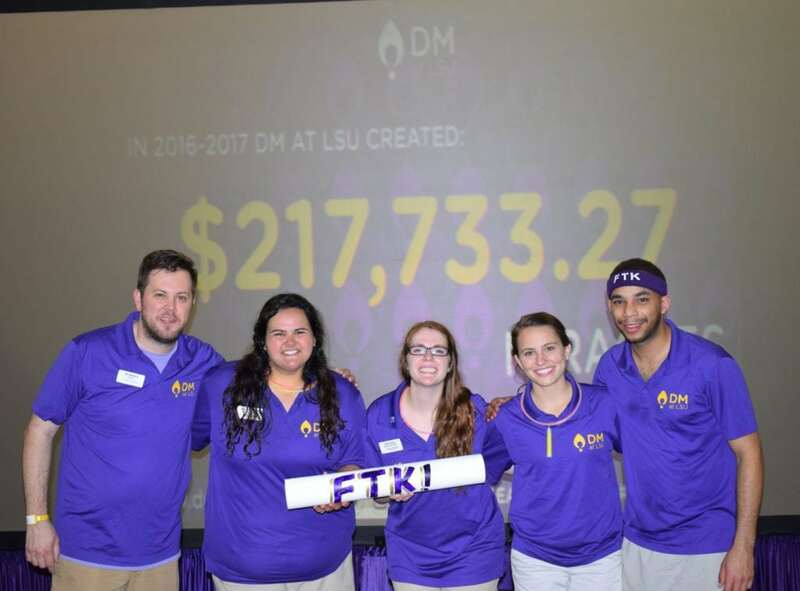 Dance Marathon at LSU has now amassed a 4-year fundraising total of more than three-quarters of a million dollars! All of the donations from this year’s campaign will be allocated towards the new freestanding children’s hospital that Our Lady of the Lake Children’s Hospital is currently building along Interstate-10 in Baton Rouge. The new hospital will deliver a statewide network of specialized and advanced pediatric healthcare to children and their families across Louisiana. Special thanks to Love’s Travel Stops for providing a $15,000 underwriting sponsorship towards the Dance Marathon at LSU event. 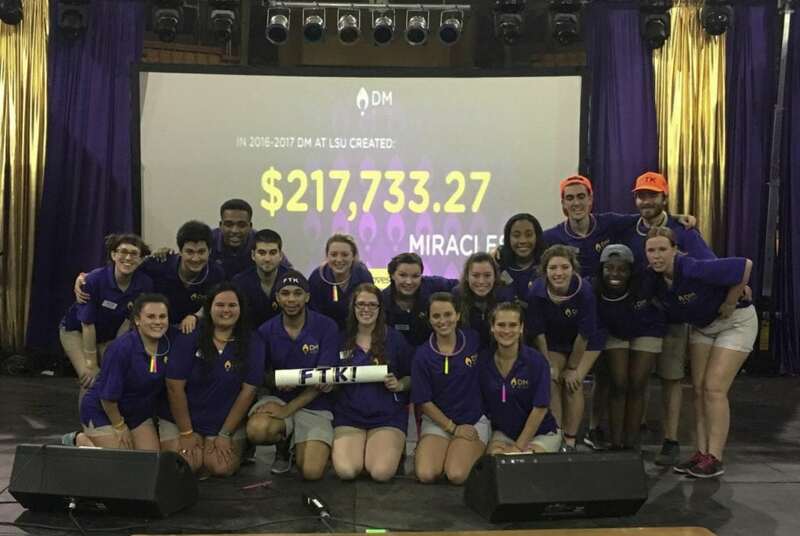 The Dance Marathon at LSU event culminated the celebration of Children’s Hospitals Week for Our Lady of the Lake Children’s Hospital, the local Children’s Miracle Network Hospital in Baton Rouge. Children’s Hospitals Week also featured the first national Facebook Live-a-thon for Children’s Miracle Network Hospitals, hosted by Nick Cannon, Steve Young, and Alli Simpson and CMN Co-Founders, John Schneider and Marie Osmond. Learn more about Dance Marathon at LSU by visiting their website, or follow on Facebook, Instagram, Twitter and Snapchat (@dmatlsu).